Der Artikel Roderick Elms (geb. 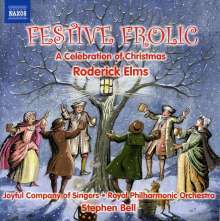 1951): Festive Frolic - Weihnachtslieder-Arrangements wurde in den Warenkorb gelegt. Roderick Elms' Christmas music ranges from charming and witty arrangements of well-loved traditional carols to new settings and festive orchestral pieces written for this very special season. 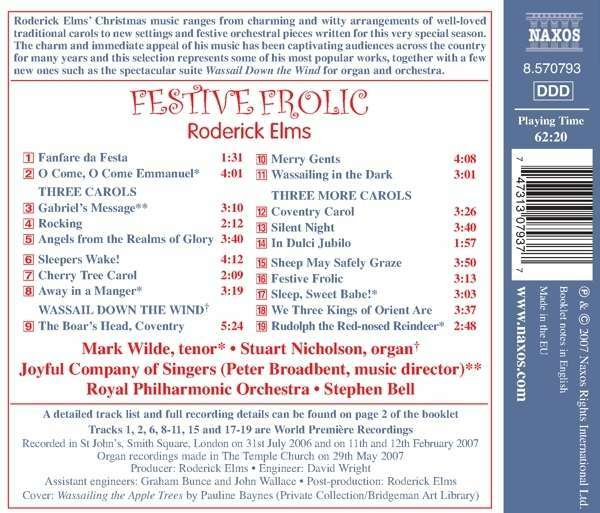 The charm and immediate appeal of his music has been captivating audiences across the country for many years and this selection represents some of his most popular works, together with a few new ones such as the spectacular suite Wassail Down the Wind for organ and orchestra.